Depression is one of the main reasons for youth accessing mental health services, yet we know little about how symptoms change once youth are in routine care. 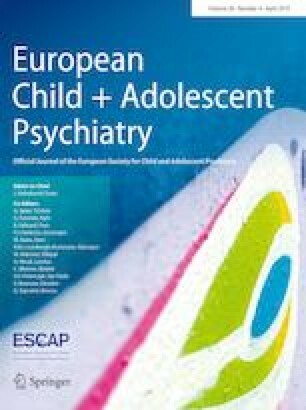 This study used multilevel modeling to examine the average trajectory of change and the factors associated with change in depressive symptoms in a large sample of youth seen in routine mental health care services in England. Participants were 2336 youth aged 8–18 (mean age 14.52; 77% females; 88% white ethnic background) who tracked depressive symptoms over a period of up to 32 weeks while in contact with mental health services. Explanatory variables were age, gender, whether the case was closed, total length of contact with services, and baseline severity in depression scores. Faster rates of improvement were found in older adolescents, males, those with shorter time in contact with services, closed cases, and those with more severe symptoms at baseline. This study demonstrates that when youth self-report their depressive symptoms during psychotherapy, symptoms decrease in a linear trajectory. Attention should be paid to younger people, females, and those with lower than average baseline scores, as their symptoms decrease at a slower pace compared to others. The first, fourth and fifth authors were involved in the program of service transformation that this manuscript draws on. The fifth author led the outcomes and evaluation group that agreed the approach to measurement used in the initiative.